When a friendship means more to us than we can express in words, it can grow quite difficult to show just how much you appreciate them. 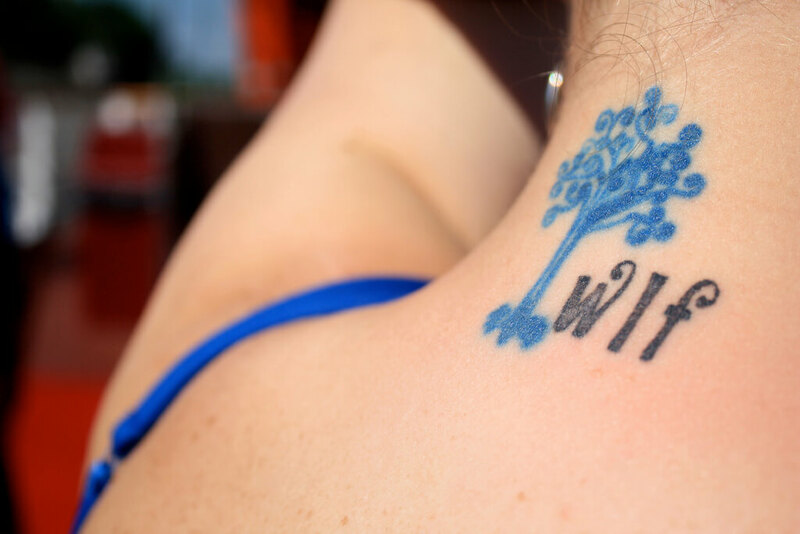 If you want to prove your bond won’t fade away, then you might want to consider getting inked for a more permanent declaration of friendship. 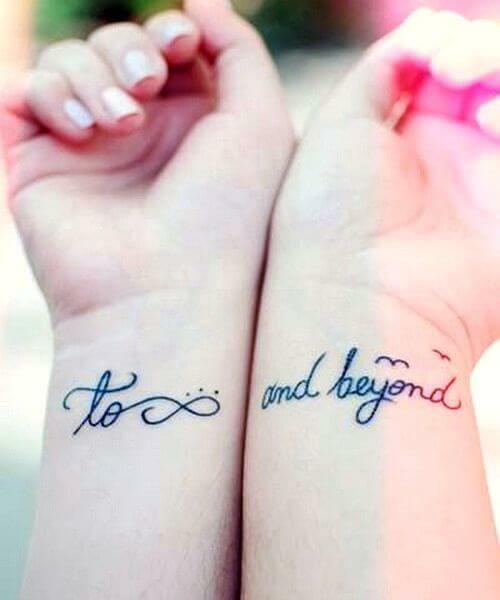 Check out these 10 best friend tattoos to spark some ideas for your own bestie ink. A common passion can take a friendship a long way, pun intended. If your time together involves long road trips and maps you can’t follow, then a travel-themed tattoo will best represent your friendship. 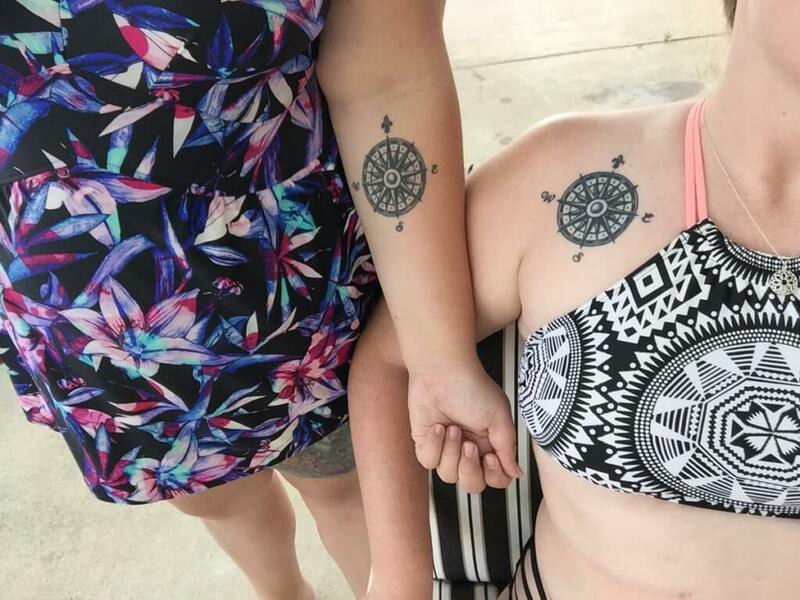 My best friend Baylee and I chose a compass, to symbolize all the places we’ve discovered and all our future adventures, but to also show that no matter how far apart we are, we will always find our way back to each other. We all have a bestie jam. Whether the song describes your friendship to a tee or has a funny backstory, the second you hear the intro, your bestie’s face pops into your head. 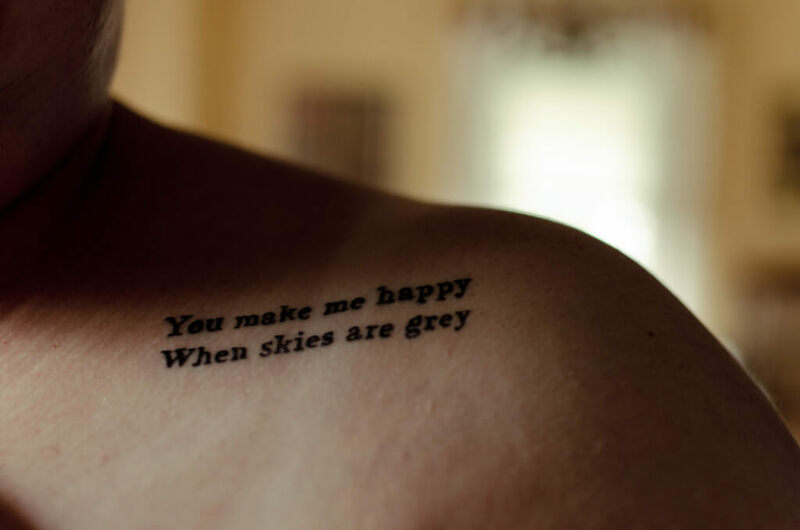 Maybe your favorite lyric from the song offers the perfect ink. “You know that one song that every friend group has that just makes them so happy and reminds you of good times with your friends? Our song is called ‘Home.’ And the words perfectly express the way I feel about my family and friends when it says, ‘home is wherever I’m with you.’ Home isn’t a roof and four walls, it is the people you love and care about,” said Florida State University freshman Claudia Berroa. I’m sure a certain song has already come to mind, so get to researching your fonts now. Why spend months of your time trying to come up with the perfect design of an intricate tattoo, when you only need each others’ initials to mark your best friend territory. Something as simple as a few letters can mean the world, especially when those letters belong to your best friend. “Well she’s my best friend and my older sister and when she went to college we were both actually devastated to be apart. So, we decided to get each other’s initials on our side so we would ‘always be by each other’s side.’ Super cheesy, but we love it,” said FSU junior Lindsay Holzhauer. Plus, a small design means you can place it almost anywhere on your body and hide it with ease. Perfect for those scared to go under the needle (or scared of their parents’ reactions). We don’t call them our BFFs for nothing. When you know you’ve met “the one,” your soulmate in the form of a best friend, that bond deserves recognition. They’ve stayed by your side through it all and will still be there when you turn old and gray. “My sisters and I all have matching tattoos. 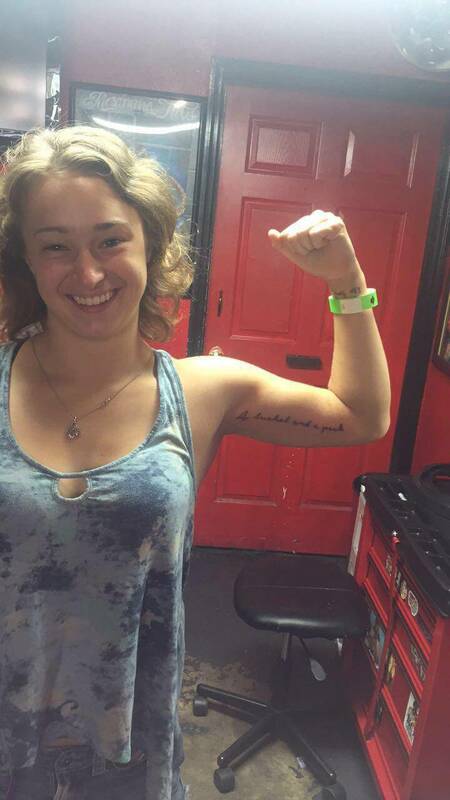 The tat says, ‘forever by your side,’ it’s like a reminder to each of us that we’re never alone and no matter what we go through as siblings we will always have each other,” said FSU sophomore Hollie Minichiello. No matter the circumstance, you always have them in your corner. That kind of relationship deserves celebration. Best friends have a whole lot of love for each other. 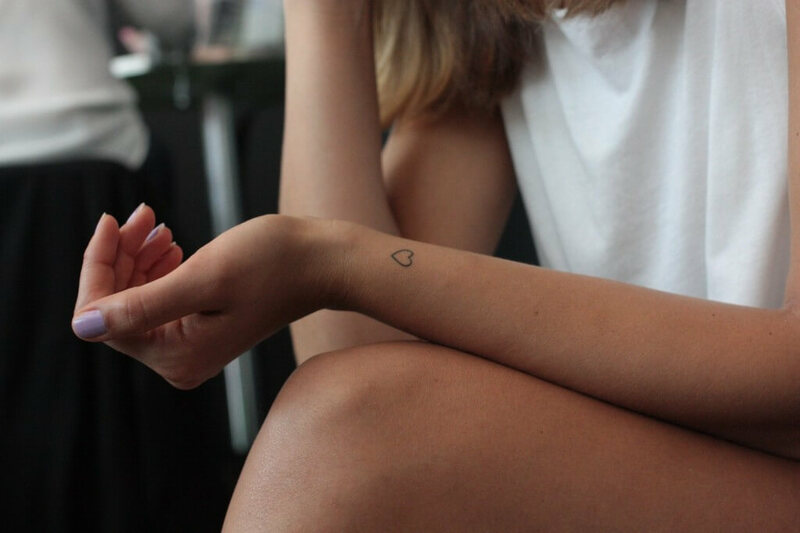 What better way to show this than a cute and simple heart-shaped tattoo? “It’s a small heart on the side of our ribs and we got it because we’ve been through a lot between our families and personal issues. 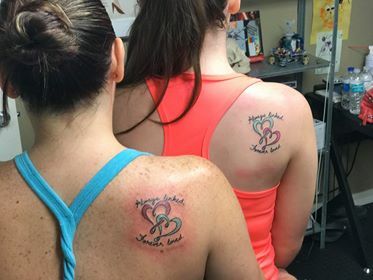 When I left for college it was the first time we wouldn’t be together 24/7 so we got heart tattoos so that we would always have a piece of each other,” said FSU sophomore Bailey Lloyd. Yeah, your best friend might have their flaws that drive you up the wall on occasion. But when someone has a special place in your heart, that bond will never break. We all know that life has its ups and downs. These experiences ultimately shape our identity, as well as our relationships with those around us. When you and your bestie go through similar experiences, it often brings you closer. 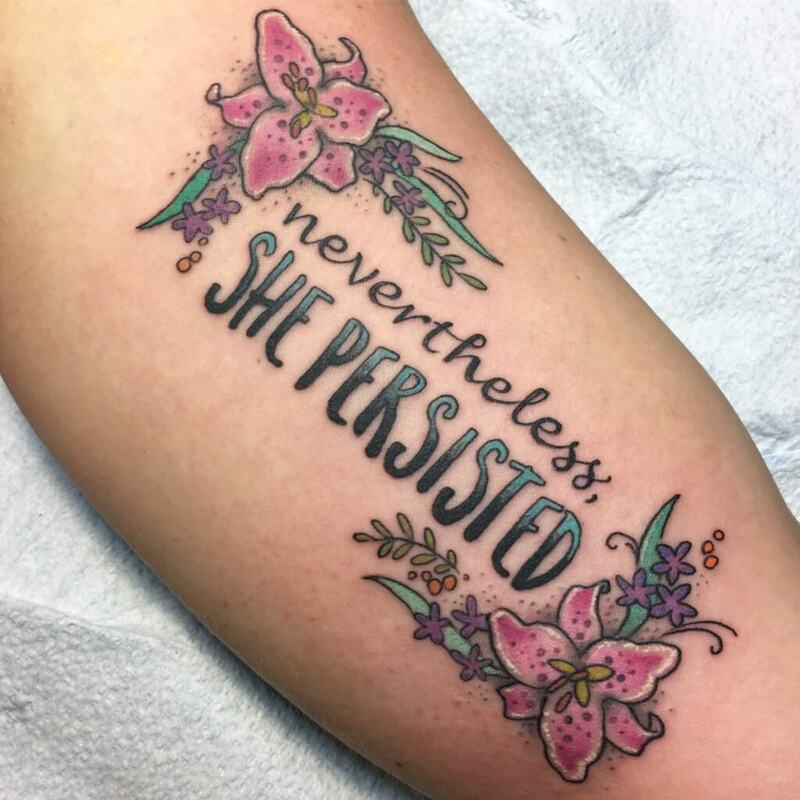 Create a daily reminder of what you two went through, good or bad, with some fresh ink. “We were both adopted from China when we were infants and we’ve stayed close ever since we were kids and [the tattoo] means a lot to both of us,” said FSU junior Zoe Patrick. Remember those broken heart best friend necklaces you would buy from Claire’s in elementary school that were only complete when put together? A matching tattoo with your best friend brings the idea of those necklaces into adulthood. 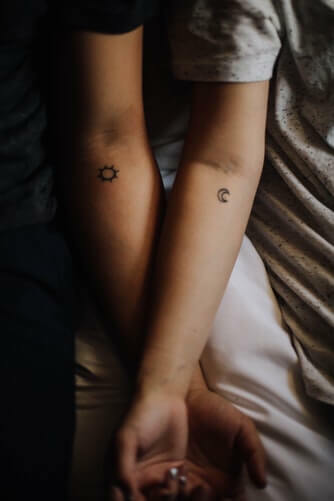 “We plan on getting a sun and a moon because they complement each other. We both exist and complete each other, even though we’re in two completely different areas,” said FSU junior Charmel Walker. Show that you just wouldn’t be the same without your bestie with tattoos that complete each other, no matter how far apart you travel. Some of us meet our best friend for life at a very young age, but some of us don’t meet our other half until now. College provides the perfect opportunity to meet new people and make special connections, especially when you share a room with that person. 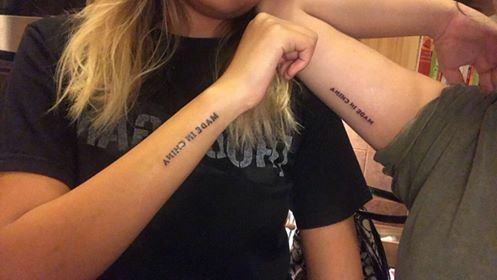 “My roommate Marly and I got tattoos last week of an arrow with our Landis Hall room number from freshman year, then our two neighbors from Landis went out and did the same thing the next day,” said FSU sophomore Cara Axelrod. Not all roomies turn out to be great, but when they do, you should honor that lucky situation. Friendships bloom from some of the most random commonalities. Whether you bond over a band, or a sport, or an animal, you just might end up getting that first shared interest as a tattoo down the road. “My best friend’s name is Ashley, we have matching small, cute elephant tattoos. Mine is on my right thigh, hers is on her left ankle. We’ve been friends since second grade,” said FSU junior Liz Dash. Celebrating that first spark of friendship reflects how much your bond has grown since that time. If you happen to love baboons, though, you might want to choose something else. When things get tough, having your best friend to lean on can help you keep a positive attitude. When those times really test your limits, some ink to celebrate their passing may be in order. 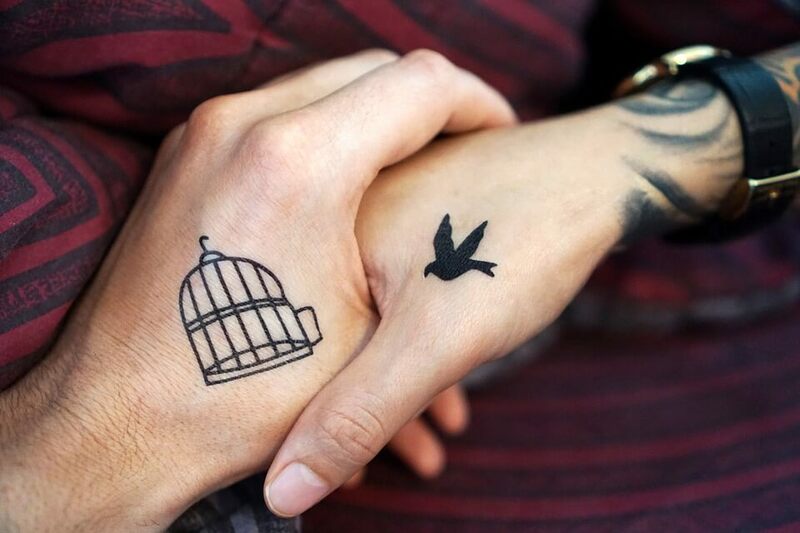 “I have two matching tats with my best friend! The first one is a heart out of fish hooks, for our best friend that passed away who loved to fish, and the other is an arrow for after she completed cancer treatment,” said FSU junior Brooke Kastner. No matter the situation, your ink will serve as a reminder that you made it through with your best friend by your side. 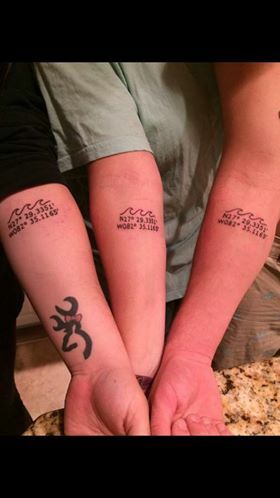 Tattoos run in the family, too. See what college students had to say about going under the needle with their closest relatives. 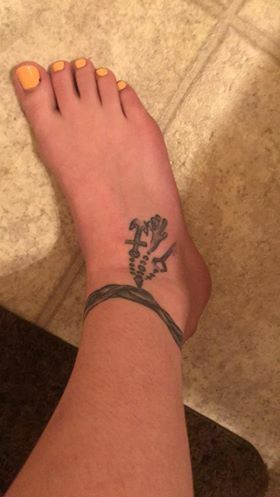 “This is my matching anklet with my sister. I’m from Pennsylvania and before moving to Florida we got matching ones. She has the locket and I have the key. We both have anchors and she has a puppy paw print and I have a bearded dragon one,” said FSU sophomore Lena Passaro. “I have matching tats with some of my siblings. There are eight kids in my family, and we are all really close! My first tattoo I got is a symbol that my mom created for my dad before they were married. It is called the love God peace sign. He has a necklace with the symbol on it that he wears 24/7. When each of my siblings turned one, we got a necklace with the symbol on it. 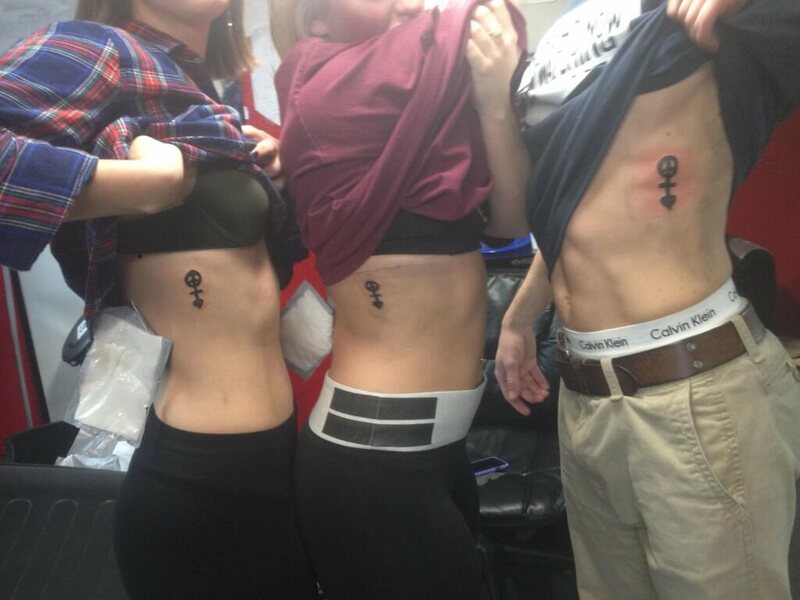 Two of my brothers, one of my sisters and I have the tattoo on our ribs,” said FSU junior Bliss Wilson. “I have a matching tattoo with my brother. It says, ‘a bushel and a peck,’ which is a nursery rhyme that our mom used to sing to us,” said FSU junior Alexis Hiatt. “We all decided one day that we would get the coordinates to our grandparent’s house. Each wave represents the three of us. Our grandparents house was near the beach and was the only place that felt like home. We each grew up with parents as addicts and would escape to our grandparents house every single weekend or any time we could. After their passing when I was 13 years old, we were told they left us three with everything in their will. They eventually left us college plans that would cover all four years of tuition, and a trust fund that would one day provide each of us with enough money for a down payment on a house. We chose this tattoo location so whenever we’re going through difficult times, finals week or whatever it may be we can look down and see the coordinates to the house of the two people who loved us most and never gave up on us,” said FSU junior Shelby Friedel. Next Post: Do I Have to Be Oprah To Be Important to African American History?